So yesterday was Moms birthday and she insisted I bust out my Keto Cheesecake Recipe! If you follow along in the Low Carb Inspirations group on Facebook, do you all remember a bit before Christmas when I started my parents on the low carb/Keto journey by bringing them a huge batch of food to replace everything in their fridge? Well, they visited yesterday (they live kinda far) and Mom is down about 50 pounds and Dad lost weight too but is not tracking. They both look and feel great!! Dad says he used up almost all the groceries I brought except the huge container of cream cheese. He doesn’t have a use for it and he meant to bring it back to me! I know he likes all these things but he is an extremely picky eater. When my parents came over they specifically asked to cook them something low carb or keto. Um, Duh! That’s all I cook! Did they forget I was the one that led them down this path? We sat down to eat and dad served himself a side of zucchini and squash topped with alfredo sauce and ATE THESE VEGGIES! He’s always hated zucchini and squash. Never eats it! He ate it because it was served with an alfredo sauce that I made with cream cheese. Early for lunch I showed him how to make the Fat Head dough recipe and whipped up some keto pizzas also made with some cream cheese. Which everyone loved! Then I asked him if he every eats pancakes or waffles. He says he wants to. I reminded him about the cookbook I created for him and this recipe USES CREAM CHEESE! He ended up saying that he will now use that cream cheese when he gets home and it won’t go to waste. He just didn’t realize what he could use it for! I’m feeling quite amused! I never thought they would change the way they eat but they have! How cool is that?? 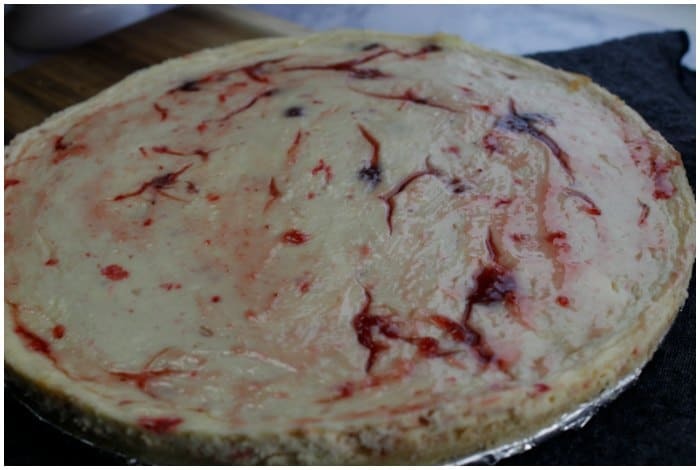 This was the famous Keto Cheesecake recipe we used for the birthday celebration! She loved it! TIP: This makes a thin bottom layer. If you want a thick crust that goes up over the sides, double the recipe. 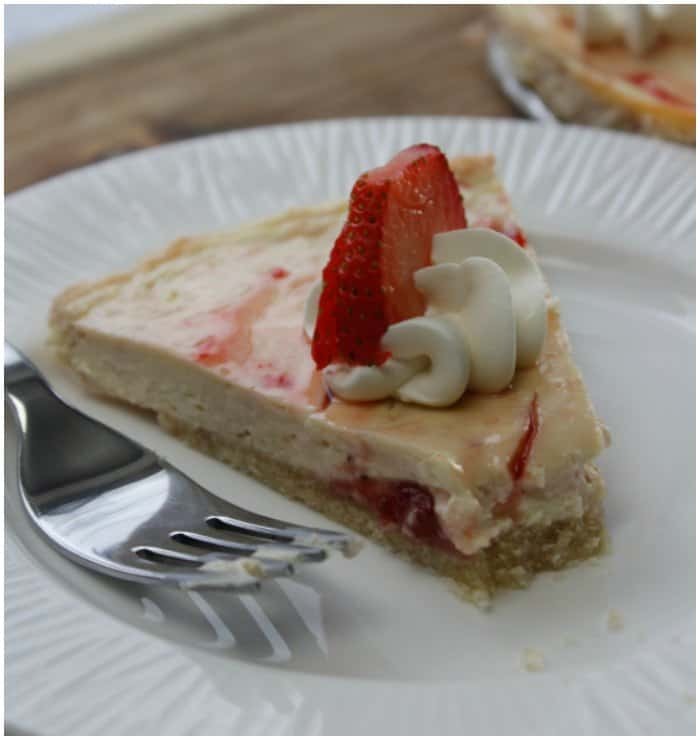 Or, you can bake just the cheesecake filing and make this a crustless recipe too! Just be sure to use parchment paper or muffin cups to prevent sticking. I prefer a thin layer crust myself. Place aluminum foil on the bottom of a springform pan. 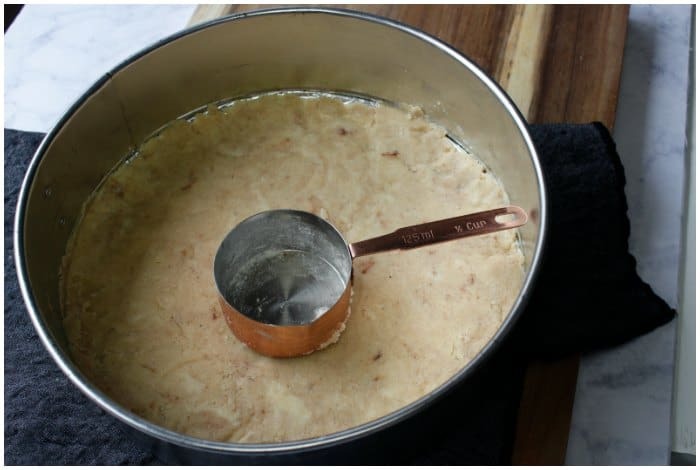 If your pan tends to have cheesecake stick, spray with baking spray or use a light coat of butter. 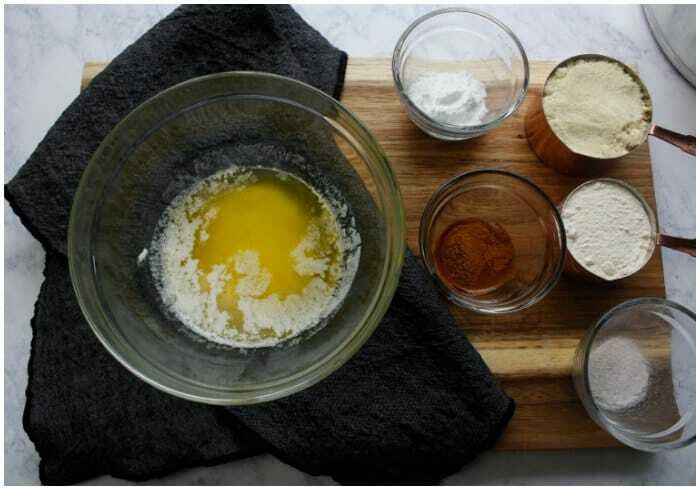 In a medium bowl, add butter, almond flour, coconut flour, salt, cinnamon, and sweetener. Mix together until combined. Spread evenly into the bottom of your springform pan, set aside. 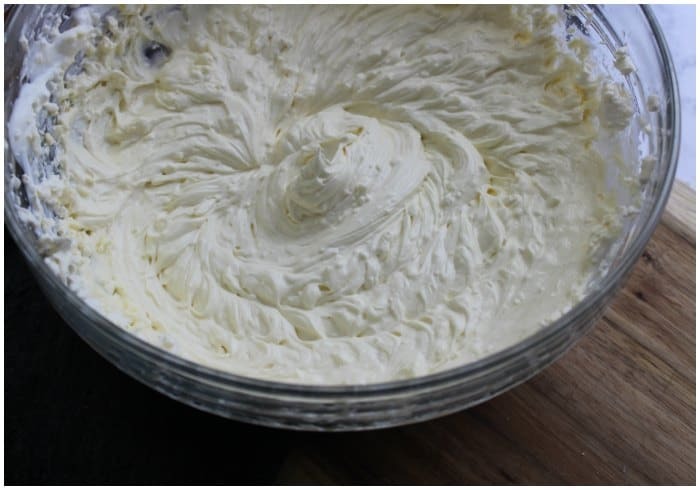 In a large bowl, mix cream cheese until creamy. Blend in eggs, one at a time until incorporated. Add in Erythritol, stevia glycerite, vanilla, and baking, stir until combined. 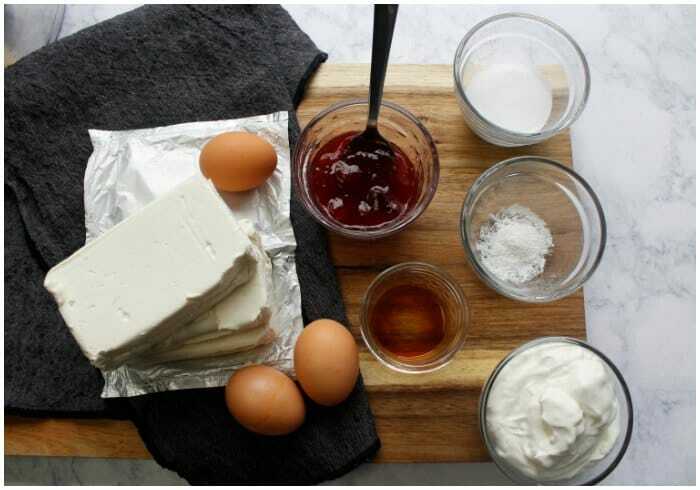 If using an optional ingredient like sugar-free jam, use about ¾ c and fold it into the cheesecake. 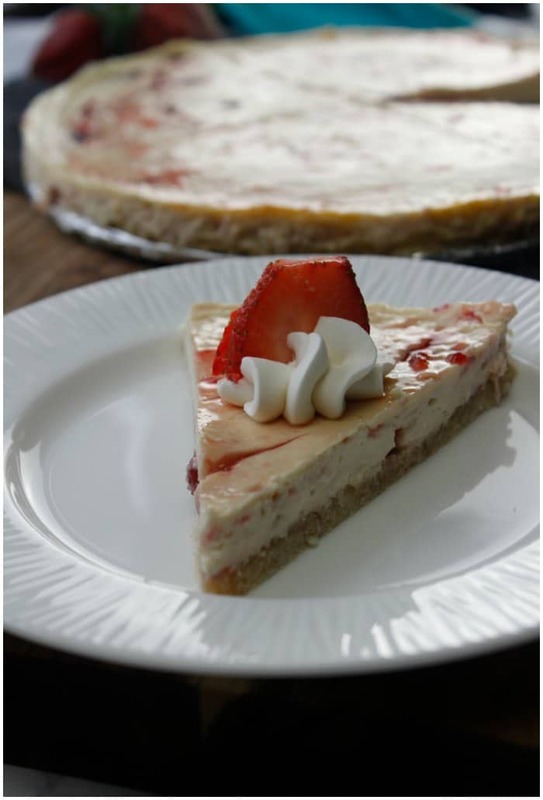 TIP: If you want that pretty design on the top, pour the cheesecake mixture with no jam. Evenly distribute the cheesecake mixture in your springform pan. Then using a tablespoon, place dollops of the sugar-free jam on the top. 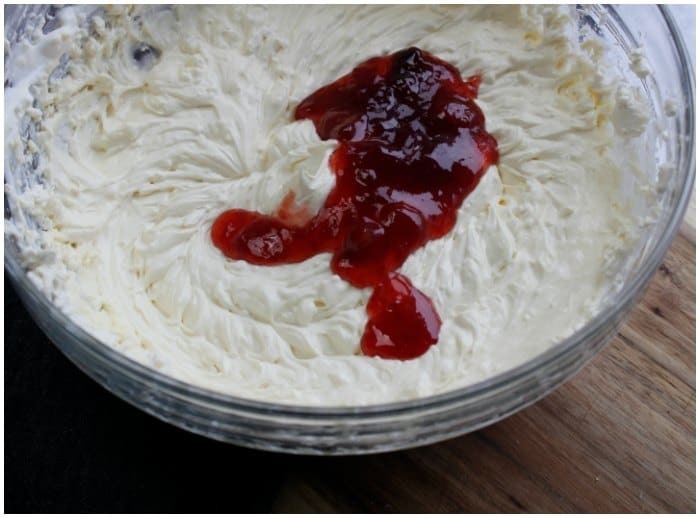 Using a knife, do a swirl pattern or drag your knife down, then up, back down again until you have gone through all the jam! Carefully pour the cream cheese mixture into the center of the crust. Place in oven for 45-1 hour if using all the cream cheese mixture. TIP: This makes a thin bottom layer. If you want a thick crust that goes up over the sides double the recipe. 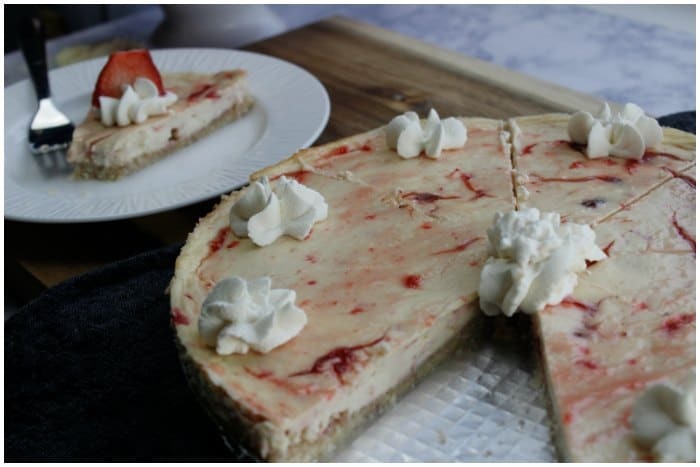 Don’t forget to pin this Keto Cheesecake recipe on Pinterest for later! By Jennifer on March 4, 2018 Keto Dessert Recipes, Keto Friendly Recipes, Low Carb Recipes, Recipes, Weight Watchers.